Davide Solazzi has passionately followed the lost art of jewelery by setting up his company in 1994. David designs jewelery in gold, platinum, diamonds and precious stones. Coscientally rooted in the spirit of artisans of the old world, he realizes his jewels through ancient equipment and techniques. The art of jewelry creation dates back thousands of years when ancient civilizations created jewels for personal ornamentation. Created to show precious stones, express faith and indicate the social status, craftsmen made jewels that ranged from shells to hemp ropes to hair and crowns worn by kings. 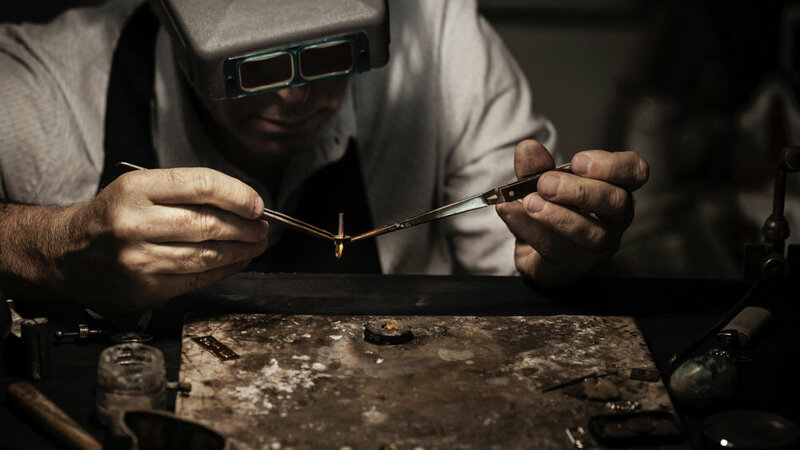 Over the centuries, the search for new gems, precious metals and ornamental materials combined with the advancement of instruments and metallurgy has made it possible for almost all luxury goods. Davide realizes his jewelry with wax sculpture. Using the ancient waste-worn process, the patterns are sculpted and embedded in plaster and then burnt with plaster to create an impression. The precious metal is fused by the torch and thrown into the cavity with a manual charging centrifuge. Through abrasives and grinding tools, David finishes the resulting jets to prepare them for welding. The jewels are made from raw gold and platinum gold as it was done for centuries before. By bonding precious metals we have created the desired color and karat. 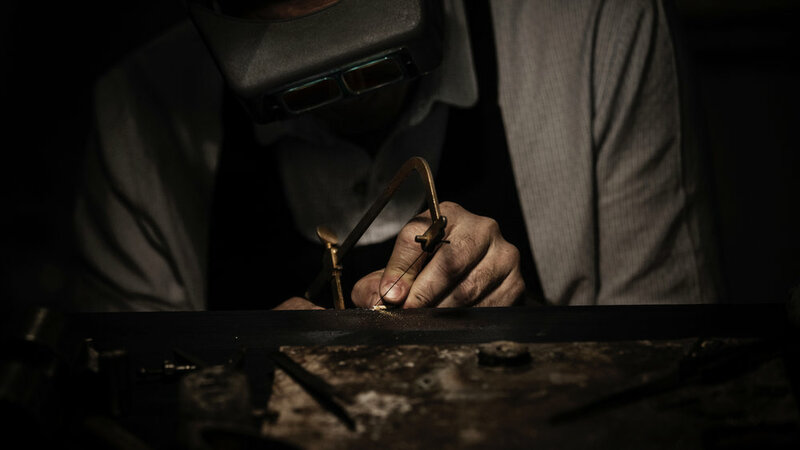 Once the metal is prepared, it is molded and formed in the process of making jewelry.